We’re constantly working on ways to make Sermonary better for you, and today we have some new and updated features that we’re excited to tell you about! 1. 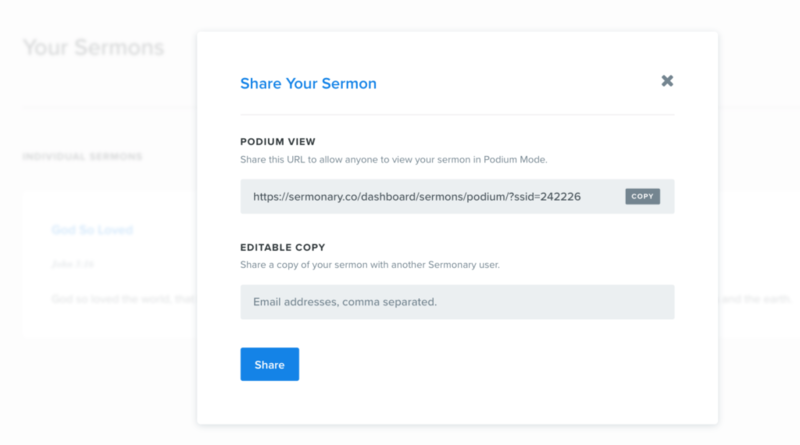 Send a podium view of your sermon by simply copying a URL and sending the shareable link. This allows anyone to see your message in Podium Mode from their browser. 2.Share an editable copy of your sermon in Blocks Mode. Enter any Sermonary user’s e-mail address, and a copy of your sermon will be added to their Sermon Dashboard. We’ve had a lot of people asking for this, and it’s finally here! 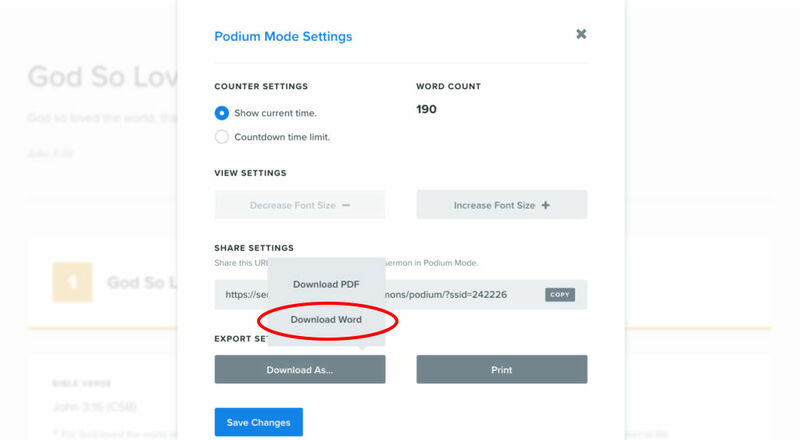 You can now download your sermons as a Word document. You’ll find this feature in Podium Mode settings. Find ‘Download As’, and you’ll see the new Word option there. 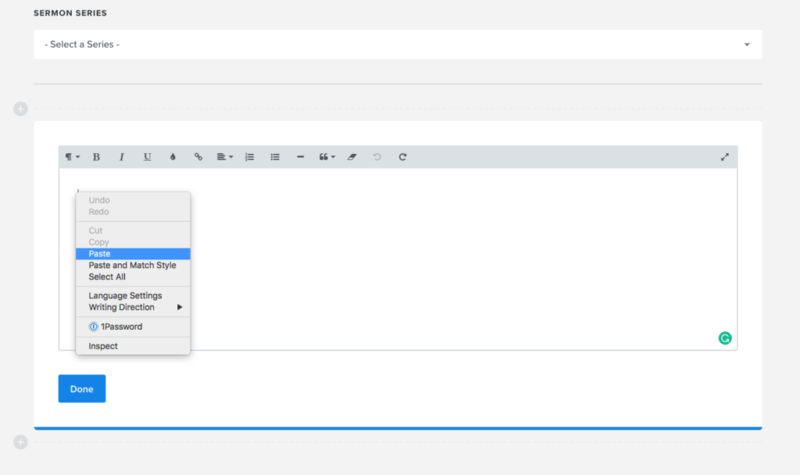 Sermon illustrations aren’t new to Sermonary, but we’ve made them easier to import into your sermon editor with a simple copy and paste.